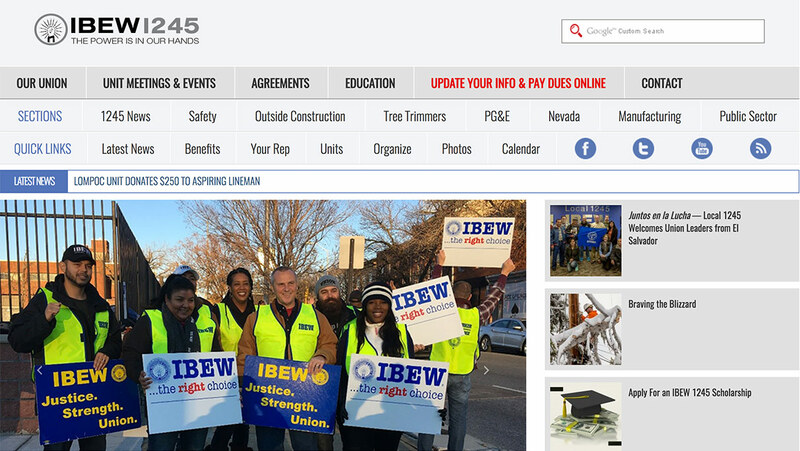 The International Brotherhood of Electrical Workers, Local 1245 contacted HyperArts to help make their website function and display well on mobile devices. HyperArts built a responsive WordPress theme and re-designed their logo and menus to work well on all devices. HyperArts was an excellent choice for our web design and development needs. The process was smooth, the staff was great and the end result was exactly what we wanted. Would definitely work with HyperArts again.